Sometimes, the need to sell the house is very urgent. This is mostly in those cases where the residents are planning to move away, out of the country or to a different city. In such cases, you need to sell the house immediately. It might go to such an extreme that you would want to sell your house in one day. You need to take a few big steps to sell your house in one day. The best way to sell house in just one day is to get as many people to view it as possible. Invite everyone you know or anyone that might be interested in buying a house to your open house. Take help from social media and send your invite on Facebook to everyone. If there are any local Facebook pages, pay them a little for posting your ad on their page so that it can reach a wider audience. These pages have thousands of views and posting about your open house on a page like this would surely ensure that a sufficient amount of interested people come to your open house. Keep the house cleans and put out some snacks and drinks for the visitors. This gives a feeling of warmth to the people and if you are lucky, someone might fall in love with the house. You need to market your house really well on the open house day. Imagine you are a salesman and the house is a product you are selling. Tell the visitors about the details of your house and the benefits or luxuries of the house to get them interested. Getting a real estate agent who knows what he is doing can sell your house quite fast. A good real estate agent already would know people who are willing to buy. House that region. It takes a competent real estate agent t to have a record of the people who are already looking for a house. Also, a good agent does not let anything go wrong. He would guide you about the tips of selling your house quickly and also make sure that you get a better choice. Furthermore, if you have an agent, he will also have contacts with other agents. They can help find the right customer for your house since they are already aware of people who are interested in buying a house. These tips are a must-follow if you want to sell your house in just one day. Other than that, if you are really eager to sell your house, we buy houses for cash and you will not have to face the hassle of prepping your house for sale. Selling a House is a tedious task especially if you are uninformed about the procedure of it. 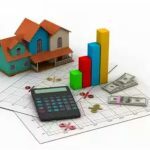 This entry was posted in Selling Real Estate and tagged buy new home, buying and selling, home buy tips, home sell, Home sell fast, home sell tips, Real Estate Agent Tips, real estate investment tips, real estate tips, sell old home. Bookmark the permalink.